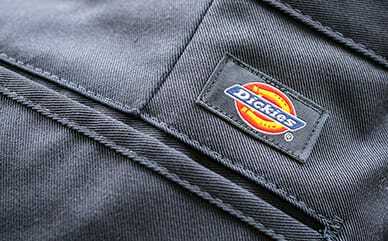 Dickies’ Classic Fit Straight Leg Flat Front Pants will look sharp throughout the day. The polyester/cotton fabric makes them as durable as your little one. With its wrinkle-resistant, stain-release and fade resistant technology, your boy will be able to resist wrinkles, stains and color fading. Reinforced knees, available in a variety of sizes, will make them even more durable for your little bruiser—so he can play as hard as he wants without a worry in the world for you.